Eyebrows frame our face and give it structure. While some of us might be very blessed in natural brow hair department, some of us are less fortunate. As trends keep changing from the pencil thin brows to the healthy boy brow, there is only one treatment that makes it easy to keep up with these ever-changing trends. We are talking about brow tinting; the most low maintenance cosmetic treatment that shapes and thickens the brows instantly. Tinting is a good temporary fix as it prevents you from the everyday time-consuming struggle to fill them in. Before arranging an appointment, ensure that you are not sensitive or allergic to any ingredients in the dye. Discuss the specifics with your treatment provider including, the shape, arch placement, length, color, thickness, etc. We offer both eyebrow shaping (tweezing) and eyebrow tinting treatments at their facility. Here is what you need to know about them. Eyebrow shaping requires time and concentration. The process of carefully plucking out all the extra hair gently, therefore, can get quite tedious. At Anna Esthetics in Tampa, eyebrow shaping is considered an art form. Priced very affordable depending on your brow thickness, the procedure takes approximately 20-40 minutes. Through careful thought, consultation, and proportionate mapping, the brows are first marked. The staff will guide you through the shape, arch, and thickness best suited for your face shape. Once you are satisfied with the marking, the brows are traced and then plucked. Once finished and combed, you will end up with neatly trimmed brows that will frame your face beautifully. You’ll walk out of the facility with the best brows of your life. 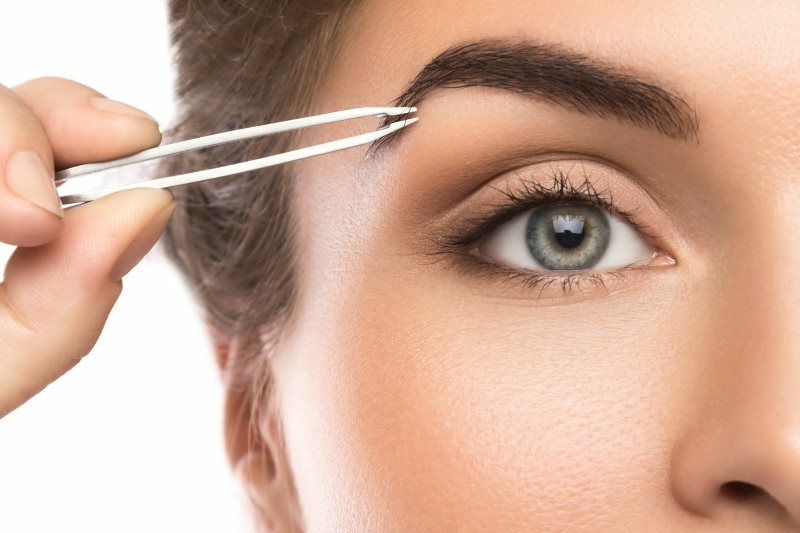 For those who want to prevent the everyday hassle of filling in their eyebrows, eyebrow tinting is the quick fix you need. Tinting utilizes semi-permanent dye that usually lasts for approximately 6 to 8 weeks and owing to its somewhat permanent nature, it is important to be very careful and patient during the procedure. At our SPA, eyebrow tinting is taken very seriously and handled by true professionals as putting any sort of chemical near the wye comes with its own set of risks. Priced very affordably at only $15, the procedure takes approximately 20 minutes of your time. The eyebrows are first rubbed by petroleum jelly in its surroundings to avoid staining the skin around the brow. After that, the tint is combed into the brows using a disposable applicator. Once the dye has worked its magic, it is removed. The results are some fabulous looking fuller brows. Brows frame and shape the face. Tinting lasts for a few weeks, therefore, it is important to discuss every detail before the procedure. As for the shade, use your original hair color as a template. The tinting dye holds on to some of the finer brow hairs and skin creating an illusion of much fuller solid brows. The eyebrow arch and shape generally is determined on the basis of face shape. Oval/long face shapes can wear long, straight brows. A soft arch flatters round face shapes while a square face cut work with thicker, more arched brows. Heart-shaped faces are already quite angular therefore a straight brow with a slight arch will help soften the look. Find out what look works best for you and get fabulous eyebrows this season. Book your appointment now!